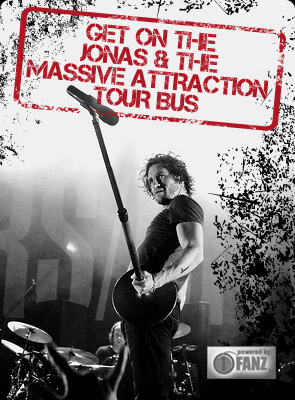 Jonas & The Massive Attraction make their U.S. debut on June 26, 2014 with a headline performance at the Playing With Fire Festival in Omaha, NE. Jonas and guitarist Corey Diabo performed in America in 2004 when the band was known as “Jonas”, opening several shows for rock legends Van Halen on a touring that introduced them to wild side of rock & roll. Check out 2014 Tour Schedule for all the latest shows!